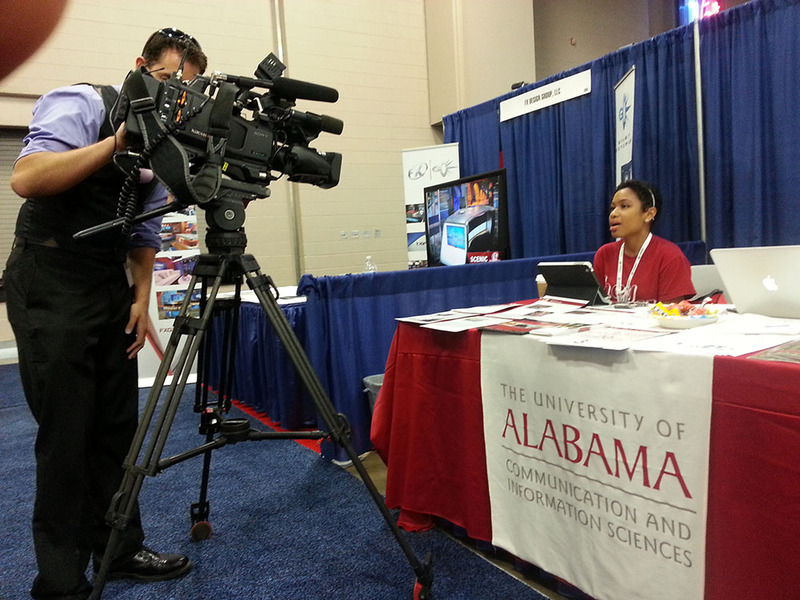 Ellisa Bray, a journalism and international studies major at University of Alabama is interviewed by KENS-TV reporter Jeremy Baker. SAN ANTONIO– A University of Alabama journalism student is offering some insight on the ongoing immigration debate. Ellisa Bray, a Houston native, is representing the University at the National Association of Hispanic Journalists (NAHJ) meeting here in South Texas this week. Bray drew on her background as an international studies and journalism double major in providing her perspective on the major issue on the agenda at the NAHJ’s 30th convention.